On the 12th (Tue), view the masterpieces at Broome Gallery, then view the masterpieces at The Courthouse Collection, then enjoy the sand and surf at Cable Beach, and finally explore the striking landscape at Gantheaume Point. 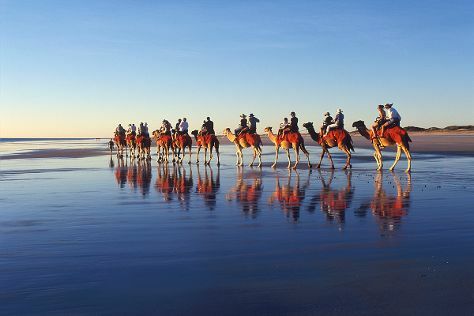 To find other places to visit, more things to do, and more tourist information, read Broome travel planning site . Mumbai, India to Broome is an approximately 19-hour flight. You can also do a combination of flight and bus. The time zone changes from India Standard Time (IST) to Australian Western Standard Time (AWST), which is usually a 2 hour difference. Traveling from Mumbai in March, expect somewhat warmer with lows of 30°C in Broome. Cap off your sightseeing on the 12th (Tue) early enough to travel to Exmouth. Exmouth is a town on the tip of the North West Cape in Western Australia. On the 13th (Wed), soothe aching muscles at some of the top local wellness centers and then have unforgettable encounters with a shark diving experience. Here are some ideas for day two: visit a coastal fixture at Vlamingh Head Lighthouse and then see some colorful creatures with Turquoise Bay. For traveler tips, ratings, photos, and other tourist information, use the Exmouth road trip app . Do a combination of flight and car from Broome to Exmouth in 12 hours. Alternatively, you can fly; or drive. Plan for slightly colder nights when traveling from Broome in March since evenings lows in Exmouth dip to 26°C. Finish up your sightseeing early on the 14th (Thu) so you can travel to Perth. Start off your visit on the 15th (Fri): steep yourself in history at The Perth Mint, then hunt for treasures at Fremantle Markets, and then steep yourself in history at Fremantle Prison. 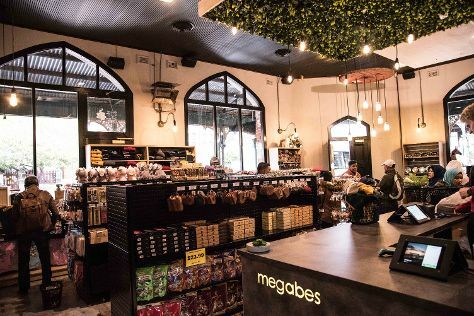 Get ready for a full day of sightseeing on the 16th (Sat): explore the galleries of The Artisan Store Fremantle, then explore the galleries of Glen Cowans' Studio at the Roundhouse, then kick back and relax at Cottesloe Beach, and finally stroll around Kings Park & Botanic Garden. To find maps, photos, ratings, and more tourist information, go to the Perth itinerary maker . Fly from Exmouth to Perth in 5.5 hours. Alternatively, you can do a combination of car and flight; or drive. Traveling from Exmouth in March, things will get slightly colder in Perth: highs are around 34°C and lows about 19°C. You will leave for home on the 17th (Sun).